Suitable for all types of fabric. 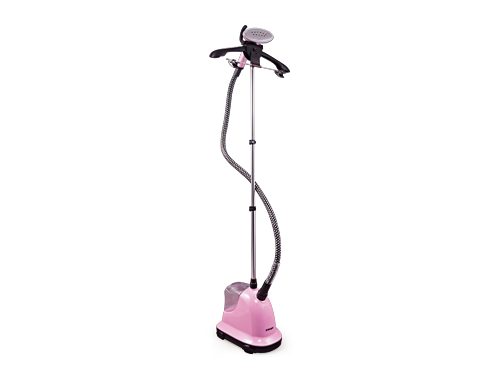 Continuous steam up to 32g/min for better crease removal. Steam temperature up to 98°C setting for optimal results on different kinds of garments. Descaling function to prolong appliance lifetime. Heat up time: 40 seconds (max). Accessories included: Brush, trousers pegs, lint pad, collar aid, pleat maker and 1 pc glove.